Modified based off of some other build guides. Originally meant to overclock the non-k CPU and GPU but decided I didn't really need to considering the i5-6400 seems to perform very well during gaming without it and the MSI GTX 970 handles framerates extremely well without it. The case despite it's price has very good airflow and lots of fan mounting locations, plus it comes with 2 case fans, however the blue power LED is annoying so I covered it with black electrical tape. The Noctua NH-D14 was overkill for the skylake processors, as they have relatively low TDP and core temps, I probably could have gotten away with a single tower and fan combo instead of the dual set up. Despite the Mobo being an mATX the huge double size GTX970 Twin Frozr and Noctua double tower cooler were both able to fit without touching. Currently only tested the rig on Rise of the Tomb Raider on max settings and XCOM 2 on max settings with zero framerate issues. For the one week I've been using it I've come to the conclusion that this build can handle current gen games, even XCOM 2 on max, which is notorious for it's horrible optimization and framerate issues. EDIT<<<<< So I ran several benchmark tests and managed to get a stable overclock on the MSI GTX 970 at a peak of 1492 mhz (on GPU-Z) during Unigine Heaven 4.0 on Max/Ultra/MXAAx8 (shows 1555 mhz during the benchmark). Was able to get an average 97-98 FPS consistently without artifacts and max temps at 72 degrees C.
When I was comparing average FPS to other users with the same card they were much lower (60-80 range) despite overclocking, so I'm not sure what the secret sauce is (drivers? CPU bottleneck?). Maybe I hit the silicone lottery, but these seems like very good benchmarks for this card. Pretty beastly card so far. Fantastic fan, cools extremely well, great packing, great instruction, and easy to install. Even comes with quite a bit of Noctua's highly rated NT-H1 thermal paste, more than anyone could need for the lifespan of the chip. Looks great in cases that have clear viewing windows. Getting 28 degrees C on idle and have yet to reach about 58 degrees C during gaming (not overclocked). Can make cable management difficult if you're not clever with how you install it. I would recommend plugging in your cables first before seating this beast down onto your CPU. Despite it's mATX size it could easily accommodate a large double tower Noctua NH-D14 cooler and a GTX 970 GPU. Has Audio LED track lighting that can pulse in time to music that looks neat if you have a case with clear viewing windows. The onboard soundcard seem to sound good enough to me. Comes with plenty of USB 3.0 on the I/O as well as headers for the front input in USB 3.0 and 2.0. Comes with 1 USB 3.1 for super fast file transfers to an external drive. Of course has the run of the mill outputs for DVI, HDMI, and VGA, and general audio. Also come with software that should make it easy to overclock on unlocked CPUs. The Sata express port will probably never be used since that technology has not become very mainstream, but is compatible with Sata 3 devices. The M.2 connector.....while a nice thought, is shoved between the CPU port/Cooler and the 1st PCIe slot. In my setup it would never fit, and if it did it would end up with a lot of heatsoak from both the CPU and GPU. Runs well, great value for storage size per dollar. With SATA 3 it runs reliably at 6 Gb/s, not as fast as M.2 or Sata express capable SSDs, but coming from a lifetime of Magnetic HDD's it's blazing fast to me. Great card. Obviously not as powerful as a GTX980 or Titan X, but it doesn't need to be. It runs current gen games perfectly with it's factory overclock settings with excellent framrates at both 1080p and 1440p, max settings on all the games. Overclock savvy enthusiasts can get a stable overclocks with this card that can match a GTX 980 fairly easily with MSI Afterburner. Great case especially considering the price. Lots of airflow, comes with 2 LED case fans that are qiuet, and plenty of spaces for up to 4 more fans if needed on the top and on the clear viewing window on the side. The blue power LED on the front cluster is annoyingly bright so I ended up covering it so I won't blind myself. Looks great and the mid tower size makes it nice and compact . Cable management was pretty good, however I wish there was more room to run cables near the top of the mobo that was not available with this case, everything must be run from the right side or bottom. An additional + 1 for being a great build. -1 as I can only give one point sadly. Great work. Haha, I'd like to thank you for giving me the base idea for it. Lol thanks. Glad I could help. 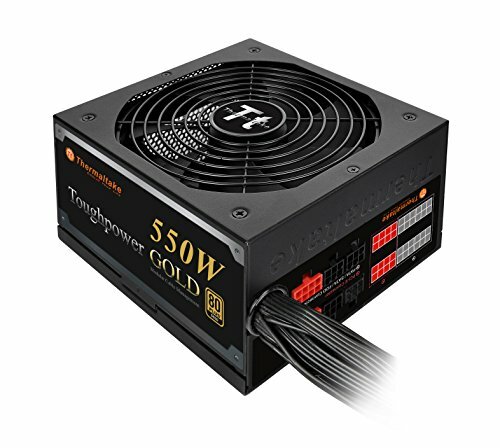 550 watts on a 970 and Skylake CPU? damn doesn't that put tons of stress on it? That's fine. You could run a 980Ti with said CPU and still be fine. With stock clock, the GTX 970 has less tdp than the GTX 760. With the 550W, I could OC either the CPU or the GPU but not both, in that case you would be right I'd need bigger PSU, but I haven't felt the need to OC either yet. The performance benchmarks of a OC'd 6500 and 6400 are marginal. They come within 1-2 fps of each other in many tests in benchmarks and "real life" stress tests. Regardless I didn't feel my current gaming would benefit from overclocking or a slightly more powerful processor. z170 motherboard with a locked cpu? Considering the budget and the performance I was going for, a k-processor wasn't needed. Also I saved a BIOS that allowed for BCLK overclocking for the non-k's if I felt I wanted to push my cooling setup. In any case using the z170 mobo allows for upgrading/overclocking in the future. did not know non k series skylake processors were overclockable. Thank you for that information will make my plans a bit more fun now. Nice not following the mold of most other skylake builds. Do plenty of research first, intel is trying to put a stop to the non-k overclockable BIOS files currently available for certain z170 boards made by MSI, Asus, Asrock, and Gigabyte, so BCLK overclocking won't be around forever on the manufacturer's websites. This well not be that way forever, Intel is working on a way to "Patch" this soon. A 970 is overkill for Xcom 2 btw, unless you are doing higher than 1080p. The title was in regards to launch, the game was horribly optimized at the time and many people were getting horrendous framerates. Not sure if is still a problem now, since I haven't played it in a while, although it was most likely patched. Hi, good build, just wanted to know how many USB ports are on your case altogether. Surely there is more then 2 right??? Nope, not counting the USB's attached to the mother board, there are only 2 USB ports on the front input. 1 USB 2.0 and 1 USB 3.0. There is something called an I/O port that is usually on the back of the case that accommodates the inputs integrated on the mother board, basically it's just a hole where the mother board slots in. The number and type of USB are dependent on the mother board. The case that I used definitely has a cut out for the motherboard, and most cases do. If there aren't any, then you would need to find a special solution to access those USBs from the inside of the case.